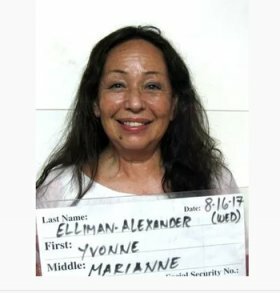 Happy Birthday to Yvonne Elliman! - Wisdom is the retention of innocence through adversity. Happy Birthday to Yvonne Elliman! Smile for the camera! Yay! Being stuck on Guam right now is not a good idea, methinks. You could get turned into Spam. The more I think about it, the more I can't figure out why drug possession is such a horrible thing. I guess part of it is that now that I live somewhere where bud is legal, the idea of it being criminal is so much more foreign to me. Haha, you go around town here and you see tons of billboards advertizing marijuana. Well, obviously the "war on drugs" was designed to justify conservative controllaholism but even more to allow the illegal drug trade to be controlled by dark forces associated with our shadow government. Its one of those reactionary issues like abortion used to excite certain voters. Not that you don't already know this. Just another way to blame people and keep them down and make money off them. I think being possessed by drugs is really what people are leery of, because that would be like the witches in Salem high on ergot, and everybody loves a witch-hunt. Living in Seattle must be like being in a future dys/topia, like Bladerunner, or etc. I'm just waiting for the time when someone like Trump decides to take action on all this marijuana freedom, and sends martial law into places like Seattle, SF and Boulder. Even though there are a lot of libertarians in favour of it, it still bothers me that the Fed. gov't hasn't changed the laws on it yet. And I don't see any push for a marijuana ammednment any time soon. Rallying high people is probably as easy as rallying a bunch of people with severe fatigue, let me tell ya. If any of those billboards display laced cheese naan, I'm on my way. I could probably make some. You should - & with poppy seeds!